← LEAP! 4 Bold Tips to Rapidly Increase Benefit Auction Profits by LEAPS and Bounds! 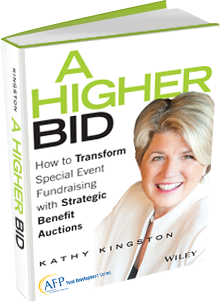 Listen to my pointers for easy Benefit Auction Budgeting. This entry was posted in non profit auctions, Video Series - Fundraising Auction Video and tagged charity auction, fundraising auction, how to raise more money, make more money from auctions. Bookmark the permalink.